Home Why Mechanical Vapor Recompression? Vapor recompression is employed to recover low-grade waste heat from a working fluid — commonly steam — in process industries. Put simply, the heat of condensation of the working fluid is recovered by increasing the temperature and pressure of the fluid and then condensing it. Typically, this process can employ thermal vapor recompression, in which a jet of steam is used to raise the temperature and pressure by momentum transfer, or mechanical vapor recompression, which employs a compressor to achieve the same effect. Given the importance of energy conservation for plant economics and for limiting environmental impact, vapor recompression is finding applications in many different process industries across the globe. Vapor recompression is employed in many industrial applications, including those in the dairy, saline, and distillery industries. Mechanical vapor recompression, in particular, is often employed in industrial evaporators for concentration of solids and uniquely by TKE in certain distillation plants. The objective here is to transfer waste heat from a spent vapor stream by upgrading it to a higher pressure and re-using it to capture its’ useful energy. For this purpose, the vapor generated from evaporator steam is compressed so that its temperature and pressure rise. As the pressure rises, the saturation temperature also increases. This increase in temperature generates a temperature difference between the exhaust vapor and the working fluid. The temperature difference then enables heat transfer between the two fluid streams using a heat exchanger. This arrangement usually employs a compressor to increase the pressure of the vapor stream carrying waste heat. Since energy of latent heat is always reused, the energy input needed for such a process is simply the energy supplied to compress the fluid. This process is very energy-efficient, and offers many unique advantages, as discussed below. The main benefit of vapor compression is that it allows for significant energy savings. Mechanical vapor compression, unlike the alternative thermal vapor compression, does not require an additional steam supply. And since no fluid mixing occurs, all of the available vapor can be compressed for energy recovery. 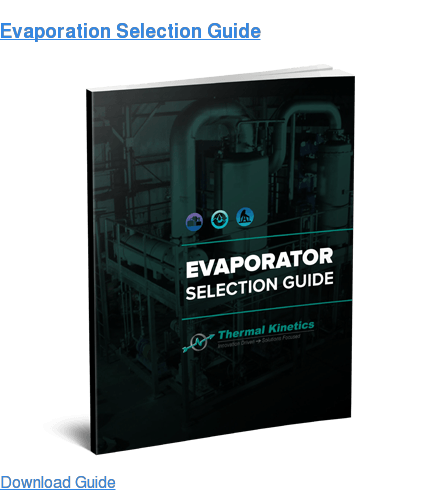 This method is ideally suited for systems operating on a low temperature difference such as many evaporation plants; in these applications, heat exchangers with a large heat transfer area can be employed to maximize energy recovery. 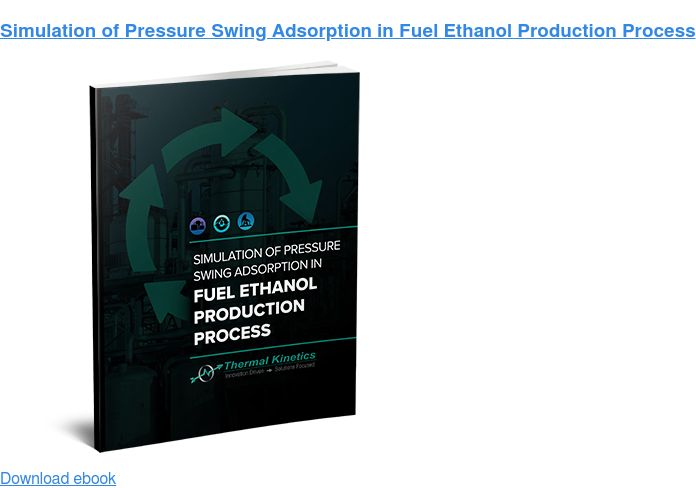 Alternately, for the case of distillation, TK has developed a novel patent pending process to distill ethanol from weak feed streams using MVR distillation and multiple effect distillation as a combined system. 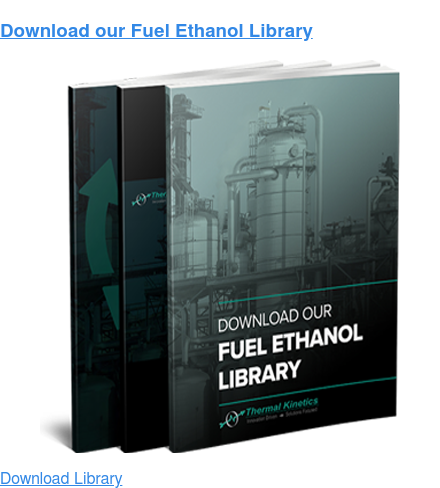 The energy efficiency for ethanol feed streams as low as 2 to 2.5% can approach that of traditional fuel ethanol plants with ethanol feed from fermentation in the 13 wt% range. The energy-saving potential of mechanical vapor recompression is especially significant when compared to the energy required to generate new steam. In fact, it is not uncommon for multi-effect evaporators to be fitted with mechanical vapor recompression processes. Even for multi-effect systems in which the vapor from the last effect is condensed in the first-effect heat exchanger, mechanical vapor recompression can be very economical. Incorporating mechanical vapor recompression into distillation equipment and evaporators requires a high degree of technical expertise. Thermal Kinetics has been specializing in high-performing heat and mass transfer products since 1999. With an emphasis on energy-saving, environmentally friendly innovations, our expert team is well-equipped to guide clients through the product selection process, ensuring they receive a solution tailored to their exact needs. Looking for an energy-efficient solution that will reduce production costs? Contact us directly, or request a quote today to learn more.